Stem cell research is a growing field that is constantly coming up with new discoveries and a fair bit of new questions. Stem cell products have the potential to change the face of science and human medicine, making disease and suffering a thing of the past. 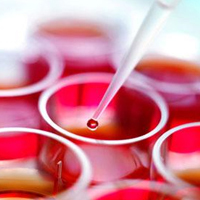 Let’s take a closer look at stem cells. Stem cells are cells that exist in multicellular organisms. Simple enough, but the remarkable thing about stem cells is that they have the ability to develop into different cell types over the course of their cellular lifespan. Let’s first understand a cell. Cells are the basic building blocks of life and compose everything we see (and don’t see). Of course, we can’t see them with the naked eye. Complex organisms (i.e. humans) are composed of millions upon billions of cells. Cells in the human body each have a specific purpose. Red blood cells, for example, carry oxygen through the bloodstream throughout the body. Every cell in the human body has a special purpose that helps the body function normally. What does this have to do with stem cells? Well, stem cells possess two unique characteristics over other cells in the human body. Stem cells are unspecialized. Stem cells don’t have any structures specific to human organs or tissue. For example, a stem cell cannot help a heart muscle cell pump blood through the body, nor can it carry oxygen through the bloodstream like a red blood cell. Stem cells give rise to specialized cells. Through mitosis, stem cells can divide and differentiate into specialized cells, like heart muscle cells, blood cells, nerve cells, and the dozens of other cells in the human body. So a stem cell has two potential options when dividing: division or differentiation. It can either divide through mitosis and create more stem cells or differentiate to become a more specialized cell in the body. What can scientists do with stem cells? Stem cells provide a great opportunity for science. In terms of research, stem cells can be used to better understand uncontrolled growth of cells characteristic of cancerous tumors. Cell migration assays using stem cells could also help researchers understand the movement of cells in repairing damaged tissue or organs, while cell signaling studies that use stem cells could help scientists potentially understand how cells differentiate. Research also gives way to new treatments. Bone marrow transplants using stem cells are already in use, but further research could develop treatments for diseases like multiple sclerosis, Parkinson’s disease, and even cancer. The possibility of stem cells is endless. They could do away with diseases and human suffering altogether. Only time will tell.